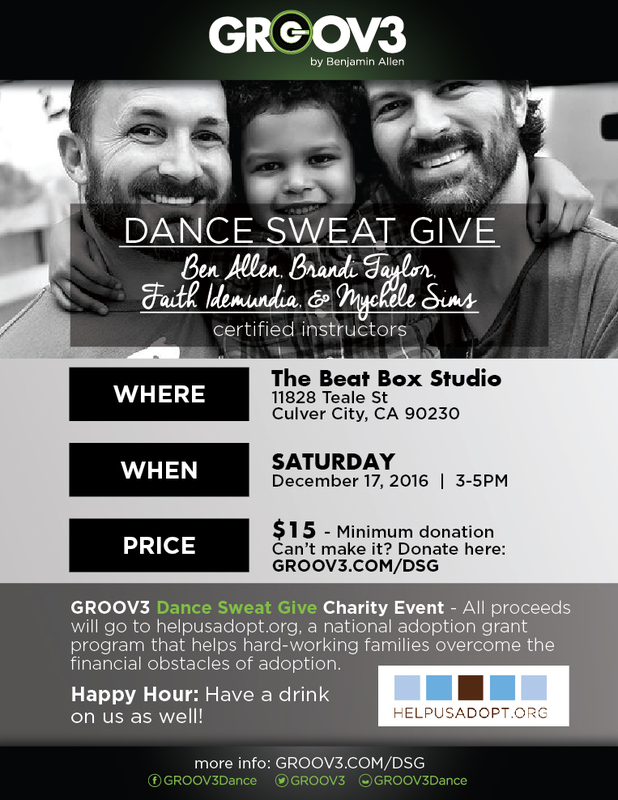 As part of GROOV3's mission to give back to the community, this Saturday December 17th, 3-5pm at the Beat Box LA, we will be hosting a Dance Sweat Give benefit for Helpusadopt.org, a national adoption grant program that helps hard-working families overcome the financial obstacles of adoption. The fantastic four -- Ben, Brandi, Faith, and Mychele -- will be giving it you on the dance floor, followed by a complementary drink out back! Everything you donate (class price of $15, or higher) will go directly to the charity. Make a difference through dance! Can't make it? You can still donate!